South is a wonderful place to explore. It is warm and fiery, and not without its own lessons. 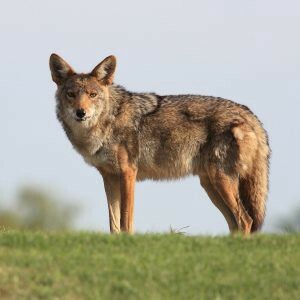 The spirit keeper of south is Shawdonese and the spirit manifested as South is Coyote. However, spirit has shown me that Mouse shares this walk with Coyote. South is the element of fire. I live in central Alberta, and the consensus is… any part of the country to the south, is usually hotter. This is of course, a northern hemisphere perspective. A Medicine Wheel in Australia for example may have Earth in the South, and Fire in the North. South it a time of rapid growth. This part of the Boreal Forest has a relatively short growing season, so fire often too, has a short life span. Unlike Air; Fire leaves nothing untouched. The Spirit of Fire has many forms such as electricity, the motor in your vehicle, the fire pit in your back yard, even the fever in your body. Fire itself is ever patient. South, in its patience, teaches us to be aware of the interconnectedness of all things; a new lesson for many walking on the Southern part of the Wheel. The most important lesson Shawdonese has taugh me, is to laugh at myself. South demands that you not take yourself too seriously.